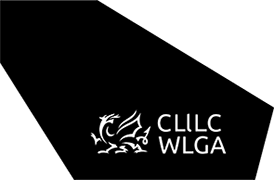 More investment in local services is essential to help unpaid carers being pushed to breaking point amidst a surge in demand for care services and support, the WLGA has said today. A recent survey by Carers Wales shows that increasing demand for care and support, as well as rising costs in providing services, is placing growing pressures on carers and families who look after and care for loved ones and can have a detrimental impact on their health and wellbeing. Across Wales, there are approximately 370,000 unpaid carers who provide support worth an estimated £8.1 billion per year. Many carers though struggle to maintain their own health and wellbeing while caring for others, and can find it difficult to access practical help and support that is needed in supporting them in managing their caring responsibilities, placing them at increasing risk of needing care and support themselves. In addition, over a third of carers (34%) report ‘struggling to make ends meet’, with many carers having to cut back on hobbies, leisure activities and seeing friends and family. The impact of austerity on council services is recognised by carers, with over a quarter (27%) of carers identifying that they were worried the support they currently receive might be reduced, while almost two thirds (65%) said that they do not know what might happen with the support they currently receive. “If carers are not appropriately supported it can lead to increased social isolation and add to pressures on both the carer’s finances and their health and wellbeing. It is clear that we must do more towards tackling the inequalities that are experienced by carers, while supporting the whole population with their health and social care needs. “The reality is that without carers, the independence and quality of life of many is diminished and the burden on our social services and national health service becomes even greater. Few jobs or roles are more important.